A participant in the 2008 Dew Tour. The Dew Tour is an event just made for sports and action photographers. The stunts done on bikes and skateboards are absolutely amazing, dwarfing some of the efforts I made as a kid riding off of an 8″ ramp on my bike and thinking that was daring! This event offers photographers some amazing angles on the athletes as they soar, flip, twist and turn. Taking flight with the runway in the background. 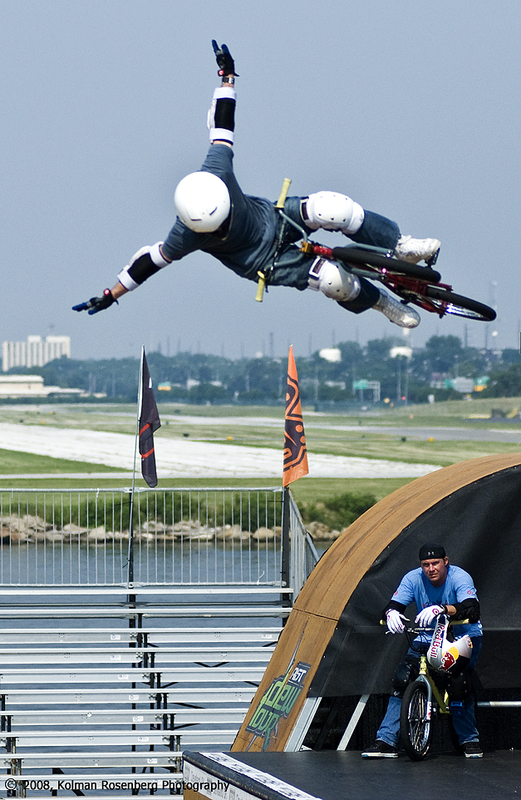 This biker, soaring approximately 40′ above the ground, arms spread, almost appears to be taking off from the Lakefront airport in the background. Sometimes, if you keep your eyes opened and look for the unusual shot, you can find an image that most people will not see. 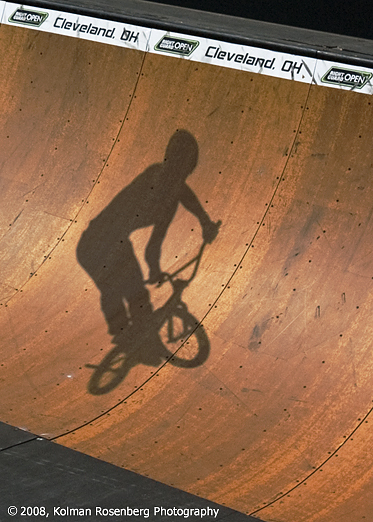 A shadow of a biker. 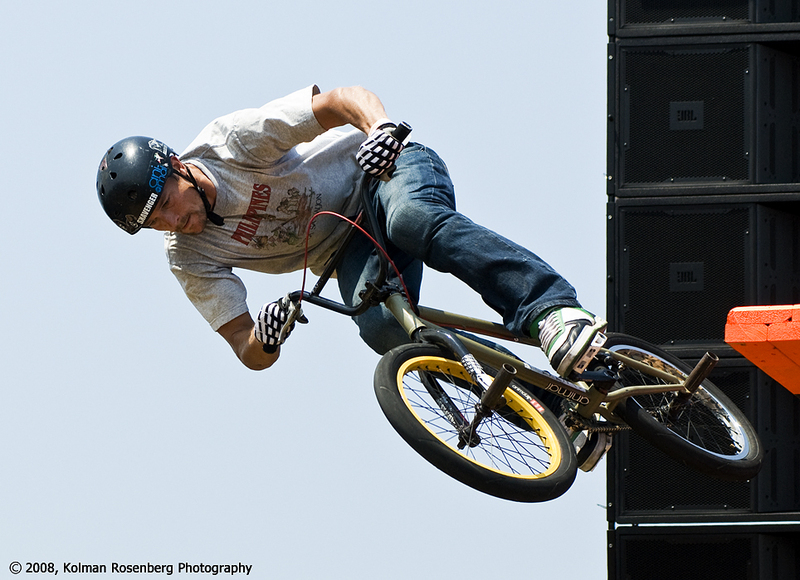 This entry was posted in Uncategorized and tagged bike, dew tour, flight, ramp, shadow, skateboard, soar, tube, x game. Bookmark the permalink.